Michael Bisping and his Xtreme Couture Michael Bisping UFC 120 Walkout T-Shirt. Michael “The Count” Bisping dominated Yoshihiro Akiyama at UFC 120, held in London last October — being one of the only Brits to win on a British card. Shame, really. That’s what makes this Bisping Walkout Shirt from Xtreme Couture so special. 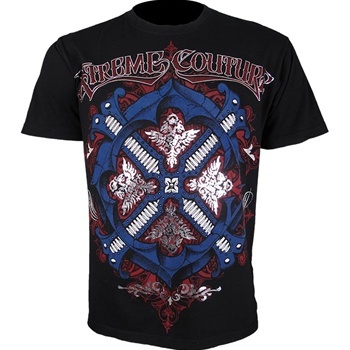 Xtreme Couture is affiliated with Affliction, so you get that same soft and comfortable feel, only for less. $29.99 exactly, exclusive to MMAWarehouse.